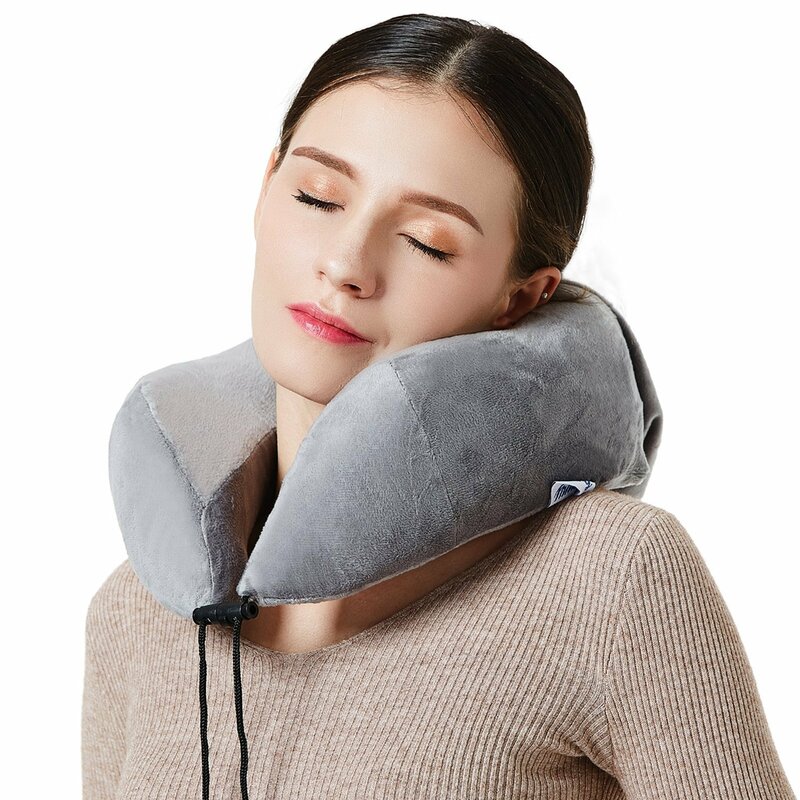 Provides a Soft but Steady support for your Neck , Head and Chin in any position with Higher & Thicker Side, which is better than traditional travel neck pillow. 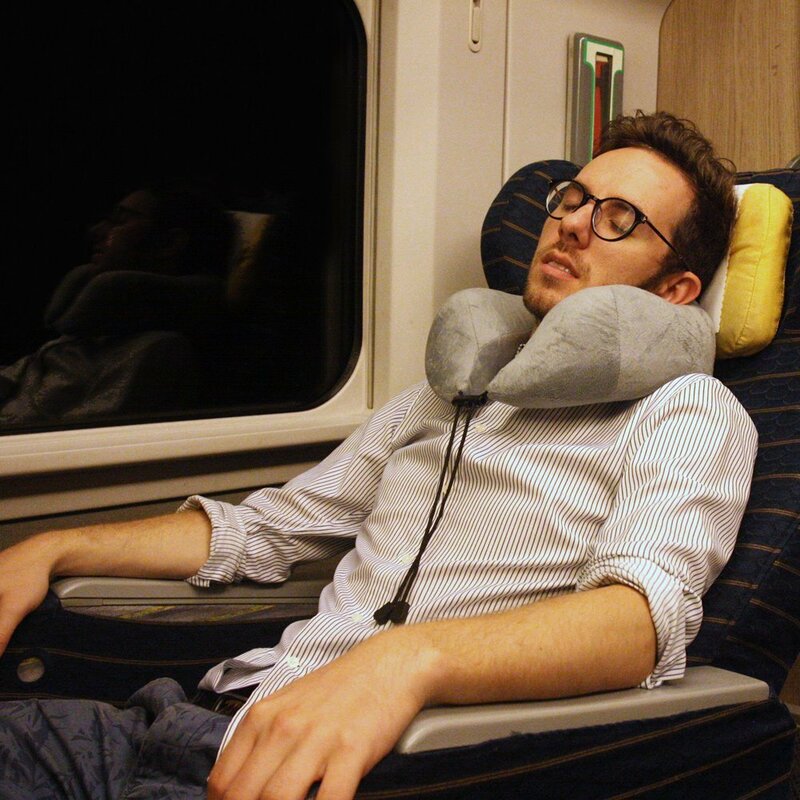 - Great for relaxing ,napping or traveling. 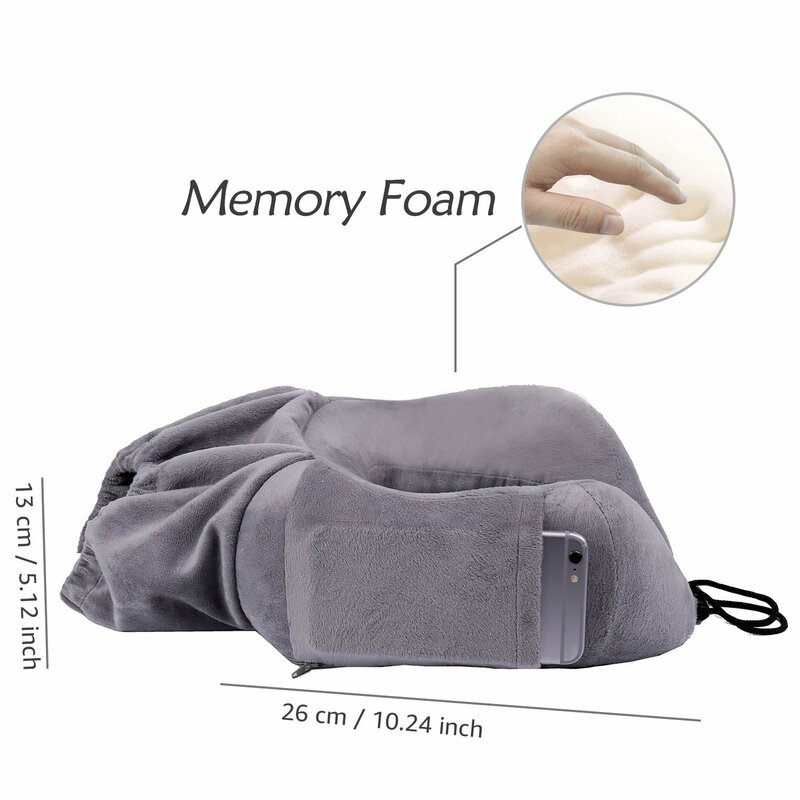 High quality visco-elastic memory foam and cozy, velour cover allows your neck to rest in a totally natural, and therefore tension free position,More Viscoelastic & Breathable than most inflatable Neck pillow. Easy to Stow. 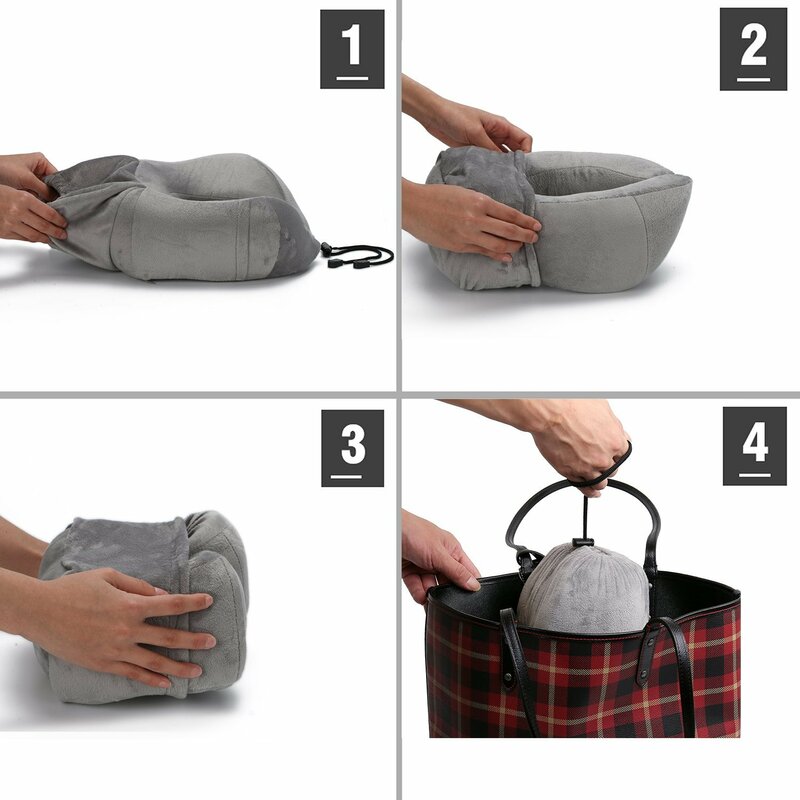 - Integrative design of Flight Pillow and Carrying Bag/Hood, No Worry about separation or Loss. Ideal for Everyone. 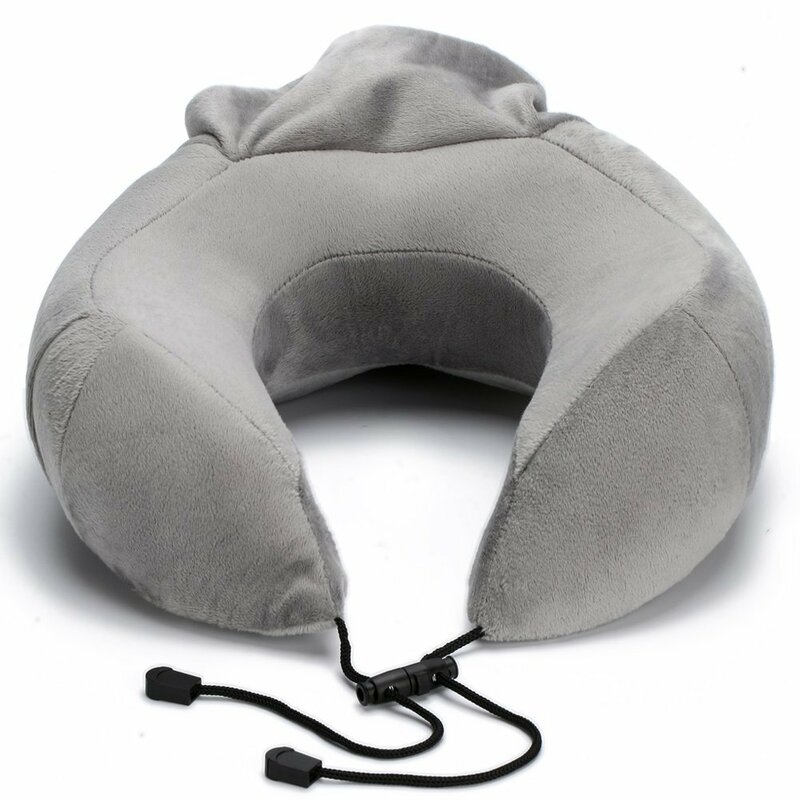 - Freely adjustment according to the size of your neck to keep the neck pillow stable. Removable and Washable with Velour Fabric cover.